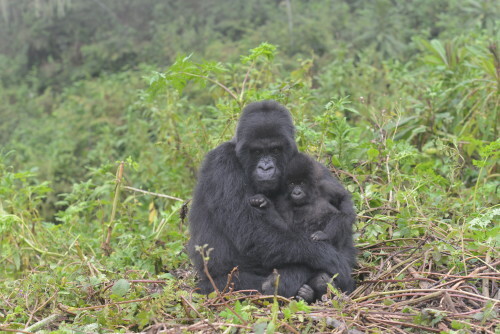 Stacy Rosenbaum was awarded a Leakey Foundation Research Grant in the fall of 2010 for her project entitled “Male-immature relationships in the mountain gorilla (gorilla beringei).” Dr. Rosenbaum and her team were recently published in the journal Primates. She was kind enough to provide us with a brief summary of this article as well as a related article published in the journal PLOS ONE. Most humans have hundreds of social interactions each day across a wide variety of contexts. We interact with our family at home, our colleagues at work, and complete strangers when we visit a restaurant or grocery store. Very few of us behave exactly the same way in all situations; our behavior shifts as our social environment changes. Perhaps unsurprisingly, other animals can do the same thing. Non-human primates have less variation in their social context than humans do because they primarily interact with other members of their well-defined group. 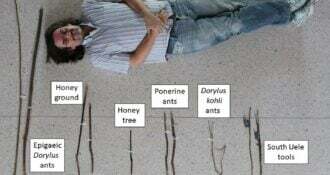 However, the properties of the group itself—for example, the ratio of males to females—can change the strength and nature of relationships between individual pairs of animals. 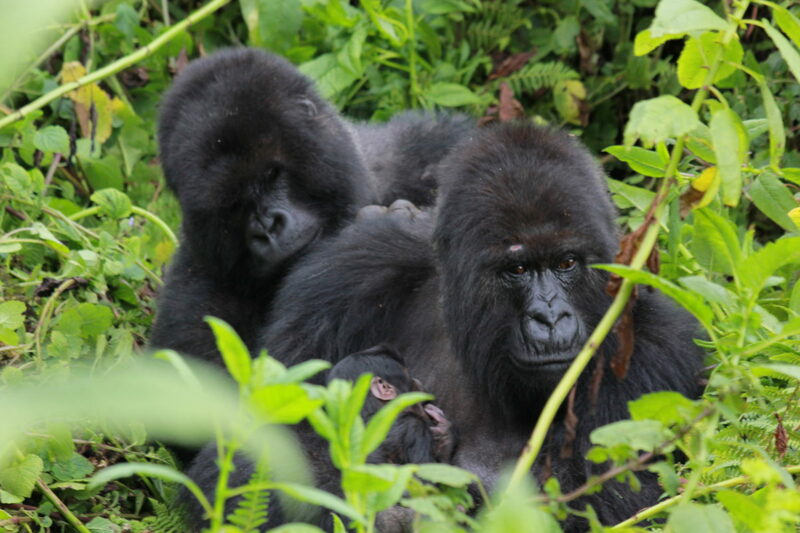 Two of our recent papers explored the relationship between group structure and individual social relationships in critically endangered mountain gorillas monitored by the Dian Fossey Gorilla Fund’s Karisoke Research Center. In the first study, we examined whether having more males in a social group meant that individual pairs of animals had weaker ‘proximity relationships.’ The amount of time gorillas spend in close proximity to one another is a good proxy for the overall strength of their relationship. We discovered that having more males in a group meant that infants and alpha males had weaker proximity relationships. Alpha males, a group’s most dominant member, are most infants’ preferred adult male social partner, and statistically their most likely father. However, the probability that the alpha is an infant’s father is lower if there are more males, and thus more potential fathers/male social partners available. Intriguingly, the same was not true for male-female pairs; females in groups with multiple males had equally strong relationships with the alpha male as females in groups containing a single male. Our data suggest that social context is affecting relationship strength for specific types of social partners but not others. 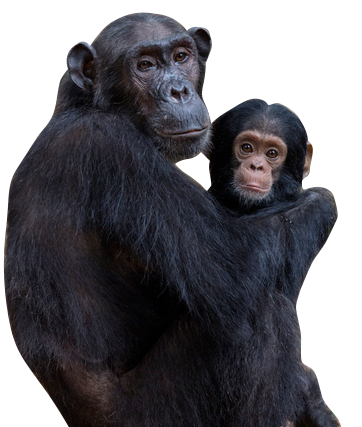 In the second study, we tested the hypothesis that females actively facilitate social bonds between their new infants and an adult male(s), who protects infants from infanticide. In groups with only one male, new mothers followed, spent more time near, and actively affiliated (e.g. groomed) more often with their available male than these same females did when they did not have a young infant. This suggests active relationship cultivation, just as we had supposed. However, we were surprised to find that females in groups with multiple males showed no such behavioral changes. Their behavior was nearly identical when they had young infants, and when they did not. The risk of infant mortality is lower in multi-male groups, so these females may not need to take the same precautions. They may also prefer to keep the males “guessing” about who the father is, so that all are inclined to protect the infant should the need arise. These fascinating animals have much to teach us about our own behavior. We are only beginning to uncover the complex relationships among group structure, social and genetic bonds, and ecological factors such as resource availability and mortality risk. 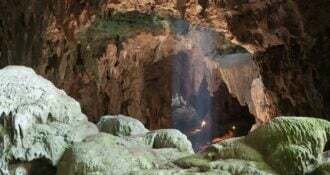 Funding from the Leakey Foundation and other organizations helps us collect the many thousands of hours of data necessary to untangle the complex social lives of one of mankind’s closest living relatives. Want to know what happens to social relationships between male and infant gorillas as the infants grow up? 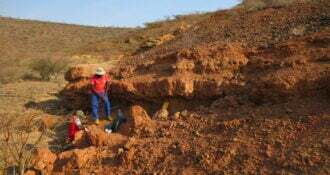 Read Dr. Nathan Lents’ The Human Evolution Blog post about another Leakey-sponsored study by Dr. Rosenbaum and colleagues.